If you are holding on to a T-Mobile G2x and you somehow still have Froyo running on it, the carrier is now giving you another chance at getting updated to Gingerbread over-the-air. And it is not that the software update, which rolled out back in July, was unsuccessful or anything, but there seem to be people who either missed it or purchased the smartphone after the update had completed. Besides bringing the phone's Android version to 2.3, the update takes care of those pesky unexpected reboots and improves battery life. It also addresses the front-facing camera issues, which occur when using Qik, and improves disabling of Car Home. 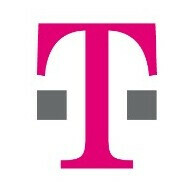 But the T-Mobile G2x may not be the only smartphone that the carrier will be updating this week. 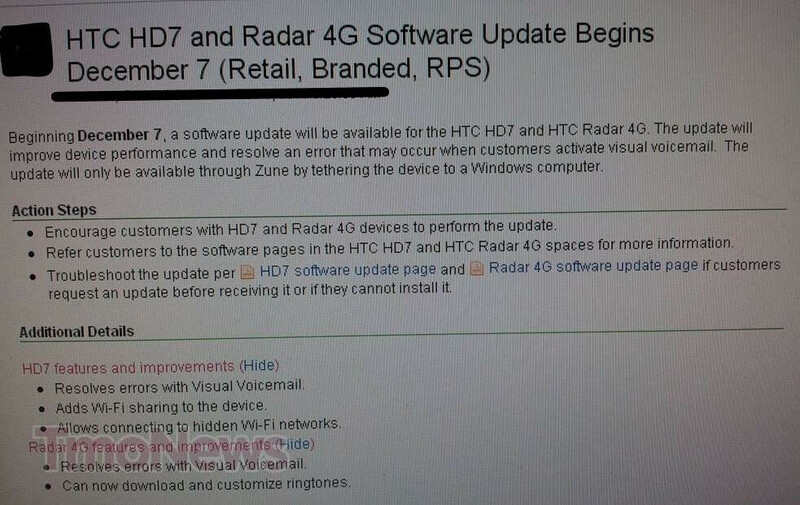 The HTC Radar 4G and HD7, which both run Windows Phone, are expected to receive software updates as well, if a recent leak is to be trusted. It is said that the new software will bring Wi-Fi sharing to the HTC HD7 and will allow it to connect to hidden Wi-Fi networks, while the Radar 4G will be given the ability to download and customize ringtones. Besides, both smartphones will have their visual voicemail issues resolved. The new software is supposed to become available today, so if you happen to own either the Radar 4G or the HD7, feel free to hook it up to your PC, launch Zune, and get updated. I got my Update, and my girl is getting her's now. I have the Radar, and she has the HD7. But im not sure how to download ringtones. Cant figure it out yet.